Flappy Bird enthusiasm for the game is already over, but from the mini-game, there are some notes that I took from a simple game that said it is rip-off of the previous Android games. Despite this original game or just pirated. 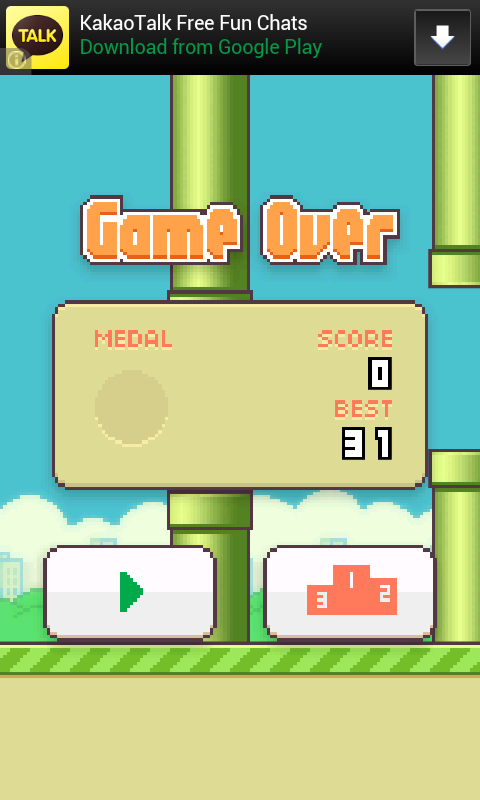 Enthusiastic fans that emerged is the indicator of the success of the game Flappy Bird. Flappy Bird adapting concept of old-school games where competing to get the highest score is the purpose of playing this game. Forget playing this game is really difficult, if you play by turning the monitor horizontally, getting a high score is possible accompanied by a trick; never blink. Give thanks to the Internet, the concept of the score can be shown widely to other players. So the reason to stop playing this game is when the casual gamers will find new games with simple concept where score are wining indicator. No need good graphics and long story concept, because it is not for spending more money to get rid of players free time. 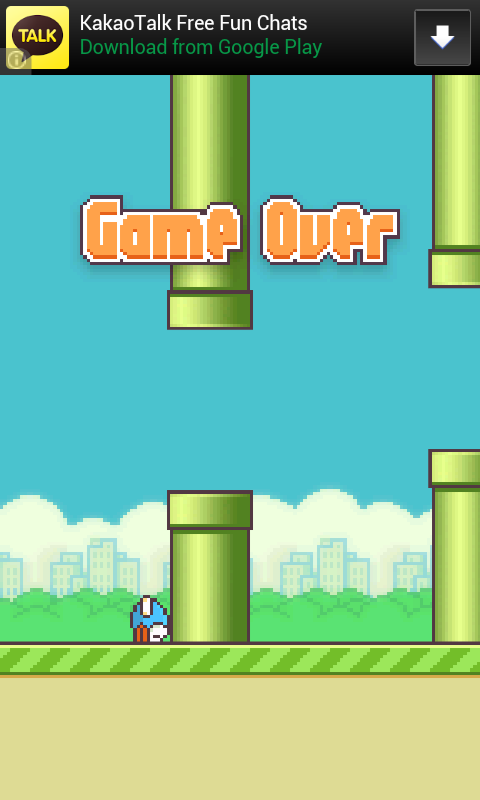 We do not know why this bird fly to the right and avoid a lot of pipes, and why he did not fly properly, and what it is purpose, This game has no exact storyline period. Overall, the remaining of this game is how will the new games sprung up to take advantage of the players hype.